More than 700,000 Americans died from drug overdoses from 1999 to 2017, about 10% of them in 2017 alone. In total, there were a staggering 70,237 drug overdose deaths last year. Opioids were involved in 67.8%, or 47,600 of those deaths. Of those opioid-related overdose deaths, 59.8% of them, or 28,466, were due to synthetic opioids, in a story we covered several days ago. With more drug overdose deaths last year than all US military fatal casualties of the Vietnam War, communities around the country are searching for solutions to prevent a further escalation in the crisis. 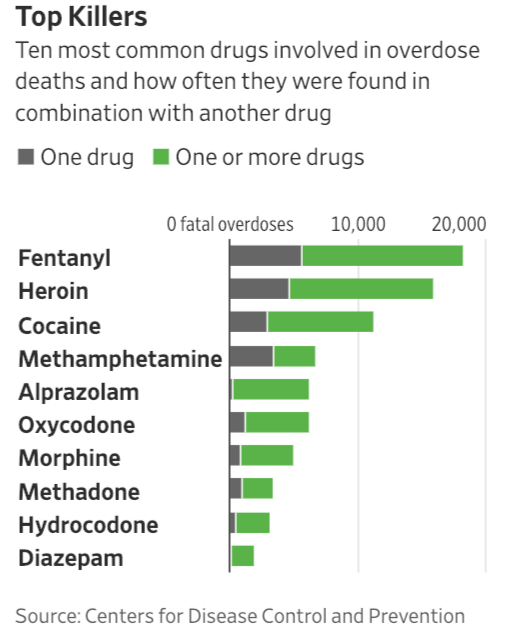 The Wall Street Journal has found a new $1 tool that might curb the overdose crisis that works like a pregnancy test to detect fentanyl. 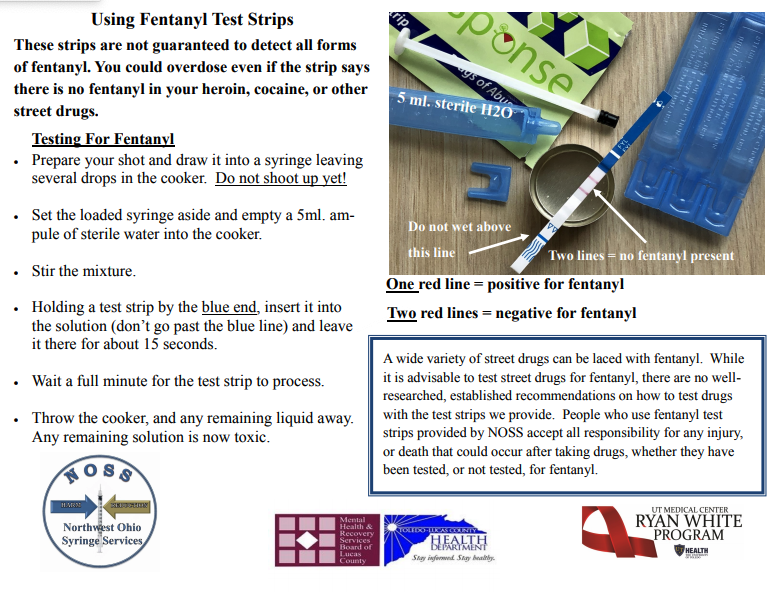 The two-inch fentanyl test strip, initially designed for the medical profession to test urine, can also be used by heroin and cocaine addicts who fear their drugs have been cut with fentanyl. When the strips are dipped into a drug, the strip reveals—if the drug contains fentanyl. A new report in the International Journal of Drug Policy, researchers from RTI International and the University of California, San Francisco, examined 125 heroin users in Greensboro, North Carolina, to see if the drug strips, which were distributed to local methadone clinics, would alter the way the addicts used their drugs. 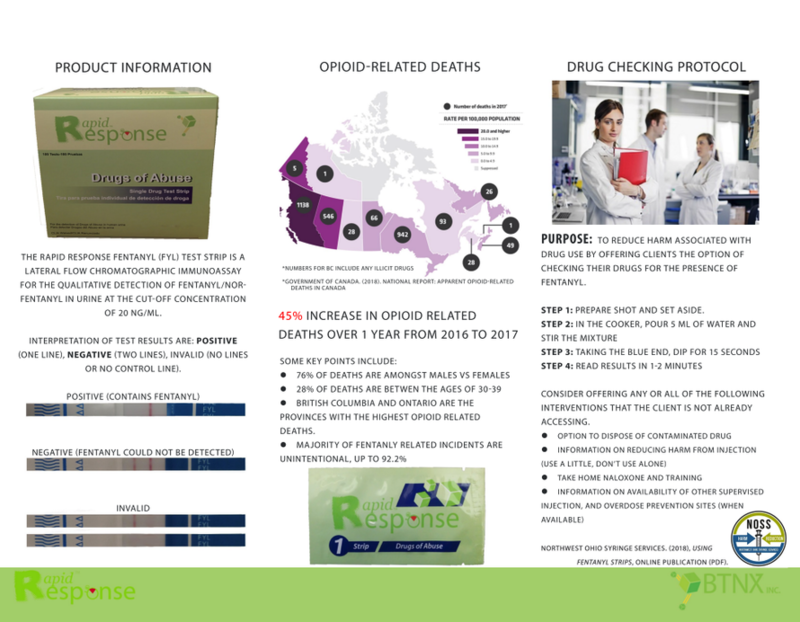 Researchers found 81% of the users used the strips, and 63% got a definite hit for fentanyl. Those who saw a positive read altered their intake to avoid overdosing. Another study by Johns Hopkins University also showed that drug users were interested in knowing whether their drugs contained fentanyl before using, which would allow them to modify their dose. Overdose-prevention organizations across the US started distributing the fentanyl test strips in 2016. Now, states like California and Rhode Island and cities such as Baltimore, Philadelphia and Columbus, Ohio, are distributing them at a rapid pace to counter the overdose crisis. 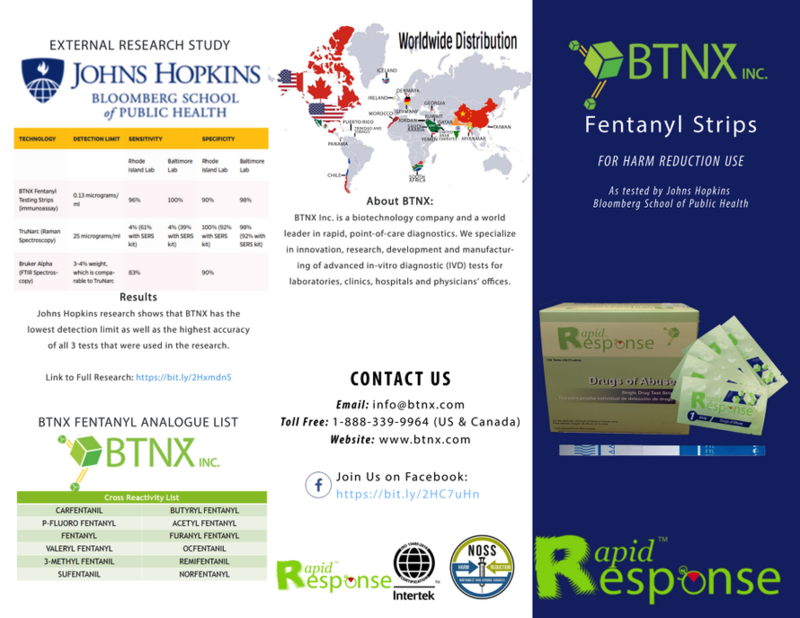 The Journal says Canadian biotechnology company BTNX Inc. manufactures the fentanyl test strips, and their sales have exploded in the US, reaching 766,000 strips so far this year, compared with 117,000 in 2017, said Chief Executive Iqbal Sunderani. The cost: $1 per strip. The biotech company first began selling the strips in 2013 to clinics in Canada, who needed to ensure that patients who were prescribed fentanyl to treat severe pain were taking the medication, said the Journal. Now, supervised drug-injection facilities across Vancouver are using the strips to test illicit drugs. "The U.S. Food and Drug Administration doesn't approve the strips. While they could fall under state drug-paraphernalia laws that usually ban the use of testing equipment, there isn’t settled case law on the issue," said Lindsay LaSalle, director of public health law and policy at the Drug Policy Alliance. Some states, including Maryland and Rhode Island, have passed laws making the strips legal. Another obstacle is the cost, which can quickly add up, considering the average heroin user injects four times a day. Early adopters of fentanyl test strips in the US have been methadone clinics, which provide services like counseling and needle exchanges. 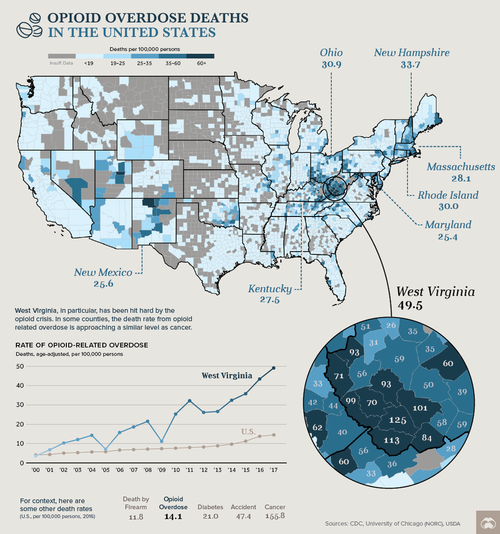 With no signs of stopping, the overdose crisis in the US is expected to get worse into 2020. Perhaps, $1 drug test strips could be an intermediate fix, but not a long-term solution.